Osceola Outback Adventures is a full time guide service with a wide range of hunting and fishing trips available. 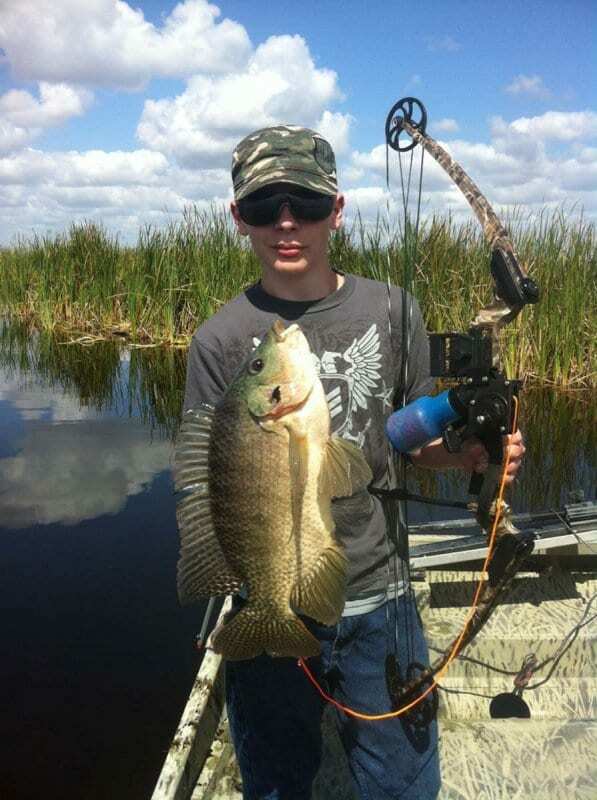 Florida has become one of the go-to states for bowfishing. 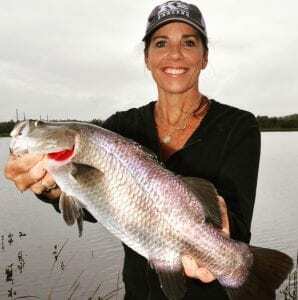 Florida has hot summers and warm winters and also has an abundance of “non-game” fish for the taking. With an estimated 3 million acres of lakes, ponds and reservoirs plus another 12,000 miles of rivers, streams and canals we will have no trouble putting you on a great day or night trip for bowfishing. Osceola Outback offers day time and night time trips. You will have opportunities to shoot Tilapia, Gar, Bowfin and Catfish. We provide our clients with an extremely unique bass fishing experience. Our clients will be fishing from one of our custom built airboats. These boats are equipped with 8′ Blade Power-poles, trolling motors and full walk around fishing decks. With seating for 3 anglers and 500 hp motors, we have the ability to take you into places that you have never gone before. 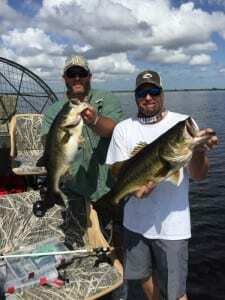 You will experience the best bass fishing in the entire state of Florida. It is common for 2 anglers to land 60+ bass in a single 4 hour trip. All tackle and gear is provided along with a cooler full of drinks. This is a half day fishing trip and you will be riding an airboat approximately 12 miles to and from the fishing grounds. You will see alligators, wading birds and birds of prey to mention just some of the wildlife in the area. The Kissimmee chain of lakes is known world wide for its huge stringers of large mouth bass. You will be fishing from the comfort of a fully rigged bass boat. Our captains are all United States Coast Guard certified and licensed captains. We are all full time guides and we are on the water fishing even on days when we don’t have clients. While on this trip you have your choice of fishing artificial lures or with locally caught live wild shiners. everything is provided on your guided trip, except for the cost of live shiners. Shiners are not always necessary however in the winter months you will catch bigger fish and at times higher numbers. Check out this video to see some of the fishing action!